Help your students learn to be "Creators of Film" the fun and easy way! 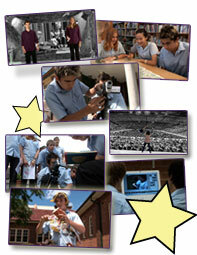 With recent changes to the NSW English curriculum, students are required to be both creators of and responders to film. Many teachers have felt challenged by this requirement. MAKING FANTASTIC SHORT FILMS was designed to solve this problem the FUN and EASY way... and be suitable to ANY English, Drama, or Media Studies class anywhere. Students work to their strengths in a team environment, and can even submit completed films to an online celebration of their work! With 70 minutes of video, 22 minutes of bonus material, and 47 pages of course material, Making Fantastic Short Films is a complete solution!